Not only is Herbal Tea Direct matcha great for your health, it's an ideal super food to include in your diet to lose that stubborn fat. Matcha is 100% natural green tea leaves which have been carefully ground down to form a fine powder. Matcha is essentially a very concentrated form of green tea. The way it's grown and consumed means that it's packed full of essential vitamins and minerals. Matcha tea bushes are grown under shade which dramatically increases the chlorophyll and amino acid content of the leaf – lots of good stuff. Does anyone grow the Nam doc Mai variety of Vietnamese Mango? I am wanting to plant one but am unsure which variety of Vietnamese Mango to plant as I want to get an idea of how they grow in Brisbane. I want to plant one that will grow in a pot and that will bare with me keeping it to a reasonable height. I also want to grow the best disease resistant Mango. It is OK to ask a nursery about this but normally they have not grown them to maturity or in our region. 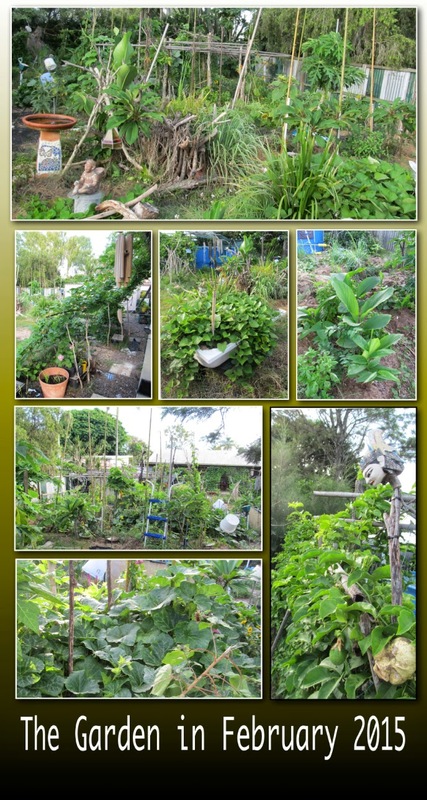 Well the rain has destroyed my Vegi Garden, the Butterfly Caterpillars have eaten all the new growth on my Fruit Trees, and what hasn't been eaten or battered by the rain and falling tree branches has grown like mad. So it is time to start the Vegi Garden over again and give the Fruit trees some attention when the little grubs have finished their consuming. Quite a good article. A lot of toads were killed in many ways to achieve it. So far from yesterday morning to 1pm we've had 265mm which is around 10.5 inches. And it's still going. Fortunately so far with little to no wind. BUTTERFLIES, BUTTERFLIES EVERYWHERE. WHAT EVER SHOULD A PERSON DO????????? Well, this year has seen in my gardens the most butterflies we have ever seen, in abundance. BUT what comes after the Flutterbys, Caterpillars I hear you say. By the hundreds I can tell you, especially on the Citrus. And what comes after the Caterpillars, well of course More Beautiful Butterflies I hear you say. Well I cannot bring myself to remove them, after all it is selective pruning that they are doing, just saving me the job??????? How is everyone enjoying the weather? Myself, I've quite enjoyed the slightly cooler days and even though we are still in summer, I have been getting out into the garden in the arvo's a lot more. The Panama berry is the one in the back pot, it had been in a wicking pot previously with Elaine who found the caramel flavour of the berries didn't mix well in their smoothies with the other fruit and veg that they prefer. I picked it up early this year and transferred it into this normal but double pot. It has settled in well producing flowers and continually if lightly fruiting.